BALTIMORE – Beautifully situated on a Chesapeake Bay tributary with tidal waters of the Patapsco River forming the Inner Harbor, the City of Baltimore is visually arresting. The Baltimore Jazz Alliance wants to bring public focus to the rich and enduring jazz scene showing that the city’s soundscape is equally exciting. They proudly announce the city’s first jazz festival to be held Saturday, October 1. Baltimore Jazz Fest will celebrate the past, present and future of America’s greatest art form. Presented by the Baltimore Jazz Alliance and Baltimore City Recreation & Parks, the event will be held from noon until 8:30 p.m. in picturesque Druid Hill Park. Baltimore Jazz Fest will showcase a plethora of outstanding area artists, offering a variety of styles from Latin and gypsy jazz to contemporary and straight ahead jazz masters. Performers include the hard touring Hot Club of Baltimore, The Greg Hatza Organization, Rumba Club, Clarence Ward III and Art Sherrod, Jr.
Venerated musician and educator Charles Funn will direct young musicians in the Dunbar Jazz Ensemble and lead the festival’s closing performance of “Baltimore Legends.” Funn is the 2015 recipient of a Jazz Hero Award from the Jazz Journalists Association for his work as a community leader. The beautiful grounds of Druid Hill Park and the Rawlings Conservatory offer a perfect setting for the seasoned jazz fan or novice. The event also features educational offerings such as a “petting zoo,” where children can play various instruments. Food and drink vendors will contribute to the picnic like atmosphere. Baltimore can lay claim to such iconic jazz figures as Billie Holiday, Ethel Ennis, Cab Calloway, Chick Webb and Eubie Blake who performed in the early 1920's when the Royal Theater was one of the “circuit theaters” regularly visited by black entertainers. Stars such as Duke Ellington, Pearl Bailey and Louis Armstrong also appeared there. The city enjoyed a heyday of jazz with many venues concentrated along Pennsylvania Avenue until the 60's when changing economic conditions led to a decline in the neighborhood. Smaller clubs continued to spring up, no longer concentrated in one area. Names that make any longtime Baltimore jazz lover nostalgic are the Sportsmen’s Lounge, The Closet, the Sphinx Club and the New Haven Lounge. 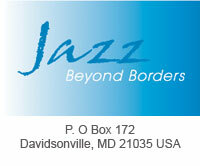 Formed in 1964, The Left Bank Jazz Society was instrumental in keeping jazz front and center in Baltimore. They booked just about every important jazz performer on the national scene until the organization disbanded three decades later. Today, jazz is thriving in Baltimore. The jazz program at Towson University was begun decades ago by beloved composer and bandleader Hank Levy whose composition “Whiplash” inspired the award winning film of the same name. (Levy was writing such confounding but thrilling tunes with odd time signatures even before Dave Brubeck’s band popularized the notion. )The Jazz Studies program at The Peabody Conservatory of the Johns Hopkins University attracts students from all over the world. Large auditoriums in colleges and museums and mid-size venues like the Caton Castle, An die Musik Live and Eubie Blake Cultural Center offer plenty of jazz, as do numerous restaurants and bars. Local performers stay busy performing in Baltimore and nearby Washington, D.C. and Charm City is a stop for touring bands.